Let guests test their own turtle power with this Raphael Teenage Mutant Ninja Turtles Pinata. 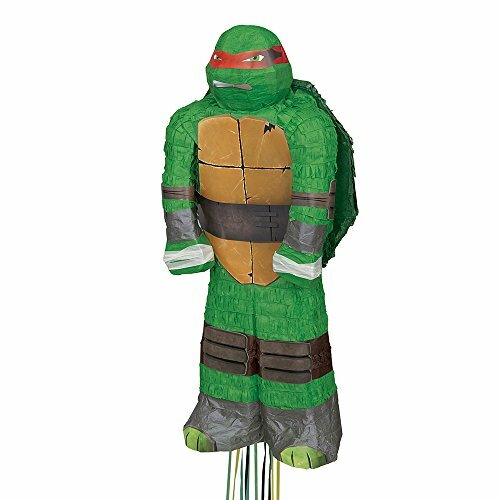 Hang this Raphael Ninja Turtles pinata from the ceiling and have guests pull the hanging strings to reveal the secret trap door that releases the candy stored inside (sold separately). Designed to resemble the toughest turtle in the sewer-bound squad, this pull string pinata is ideal for any Teenage Mutant Ninja Turtles themed birthday party or boy’s birthday party.